October 11, 2012, Thursday 7 PM Dr. Holly Martelle - Huron Ceramics - Pots, potters and pottery making at the Ball site, a 17th century Wendat village in Huronia. Dr. Martelle's doctoral thesis was on "Huron Potters and Archaeological Constructs". 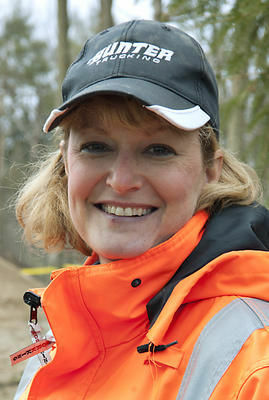 She is now a principle partner at Timmins Martelle Heritage Consultants Inc based out of London Ontario. Members are invited to meet at the museum at 5 PM to assist in washing the pottery found during our public archaeology day on the Allen tract. Pizza will be provided and we will see how much we can get done prior to Holly's presentation. Meeting Details: at Huronia Museum at 7 pm, presentation open to the public, chapter business meeting which follows the presentation is open only to chapter members.